Another one from my local area and again someone who I have been meaning to see live, meaning to check out, meaning to write about, and yet just haven’t got round to it until now. North Devon is surely over endowed with talented musicians. Maybe it’s the sea air, or the stunning scenery, perhaps it is the Celtic roots of Dumnonia filtering through, or just the gentle pace of life that allows people time to practice and compose. It doesn’t matter. The fact is there is talent aplenty. I finally got around to seeing Sam Dowden last night (Thurs 26th Sept) at the Chill Bar, where he hosts Thursday night open mics on alternate weeks. As it turned out there were not very many musos wanting to get up and perform, so Sam played half a dozen songs before handing over to Karen Marie Yates, who is no mean performer herself. She has a delectable voice and plays guitar more than adequately well. She is (or possibly was?) the lead singer of “Honey Jacks” who I reviewed after seeing them at The Sunwest festival at the Landmark Theatre, Ilfracombe, earlier in the year. Karen did a similar number of songs before handing back to Sam and, apart from one other singer guitarist who did a few towards the end of the evening, it was just those two. As soon as I heard Sam sing I was entranced, his voice is warm and soft, like marshmallows in a hot chocolate. It envelops you like a silk covered down duvet, and his guitar playing is a cut above the average to say the least. He uses a loop repeater, and plays a four or eight bar sequence into that, allowing him to create a full band effect all on his own. I believe that Funke and the Two Tone Baby uses a similar device to create his “one man blues band” sound. 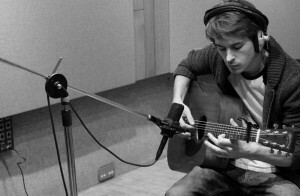 Sam Dowden employs every part of the guitar eliciting an array of drum like sounds, as well as the usual strumming chords. He plays a lot of harmonics and picks out lovely complex melodies. And on top of that there is his wonderful voice. As well as his lovely tone, he has a considerable range, singing easily into alto territory without the least sign of strain. Comparisons, even to the incredible Troy Faid, are not misplaced here, and there really is no higher praise I can give. Sam Dowden’s crisp percussive guitar style blends so well with his soulful voice. His performance live always draws me in. I think the first song he did was a cover of Daft Punk’s “Get Lucky” and for the first time I actually enjoyed the song. I really hate the original, but Sam released the inner song from Daft Punk’s over engineered special effects frenzy and over repetitive chorus, and let the verses come out. He did a few other covers, David Gray, and Passenger, who he also improved upon by not singing in a strange nasal voice, and then there were a whole load of his own compositions which were just lovely. During the break, I asked if there was a CD and he told me they had a box of them behind the bar. “Out Of The Blue“* So I bought one of course. It is always wise to have your CD’s available for sale at gigs. Here’s a track from the album, also from the Youtube channel, but not a video. The new e.p. 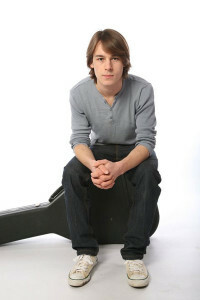 All to Love* is only just released 24th September and Sam wil be at the Chill Bar this Friday 4th October promoting it. *The links above are for Amazon, the records are also available on iTunes, see search box below. Thanks for that Morton. Well done.